For the third year in a row, the Latvian Institute is inviting the diaspora schools to participate in this special project seeking to strengthen links between generations. The idea is to send handmade greeting cards for elderly residents of social care centres in Latvia, thus bringing happiness into the lives of the seniors and strengthening the sense of belonging to Latvia among the children who took part. 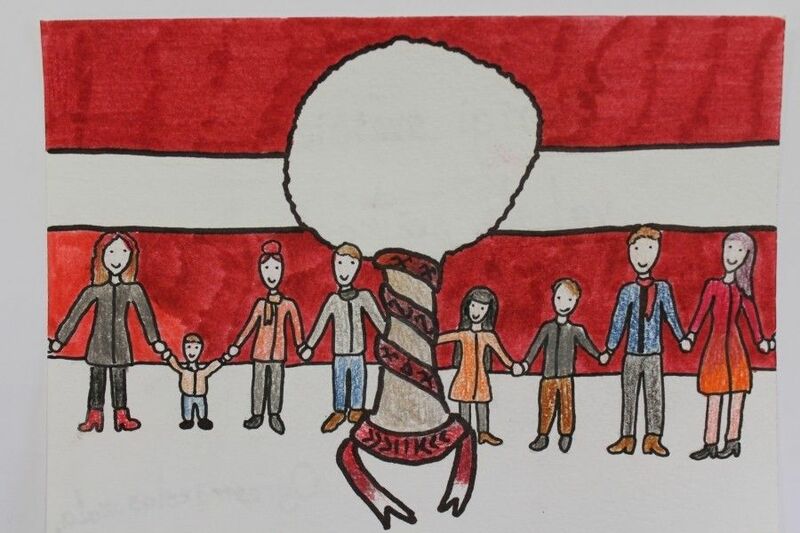 This year, to greet the seniors in Latvia’s Centenary on November 18, the diaspora schools are invited to make greeting cards in the form of Latvian traditional mittens, exploring the patterns and combinations of colours our ancestors have used from generation to generation in hand-knitting. The greeting cards will be distributed from mid-October till mid-November, and during the Patriotic Week (November 11-18) the Latvian Institute will organize a special event at one of the social care centres in Latvia to hand the seniors the greeting cards in a festive ceremony.